Click on the Hole #'s below to view! TEE→ The target bunker is just that, your target. Don’t cut the corner unless you have played the hole before. 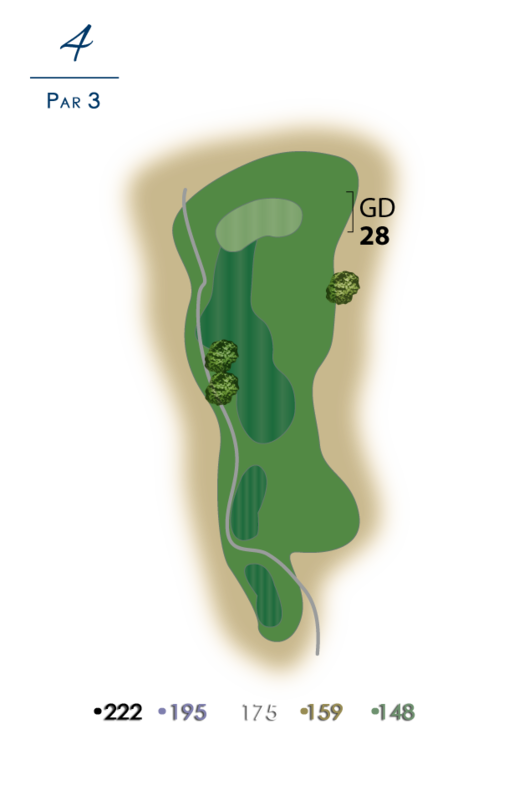 APPROACH→ The prevailing coastal breeze combined with the downhill lie may make the approach play shorter. 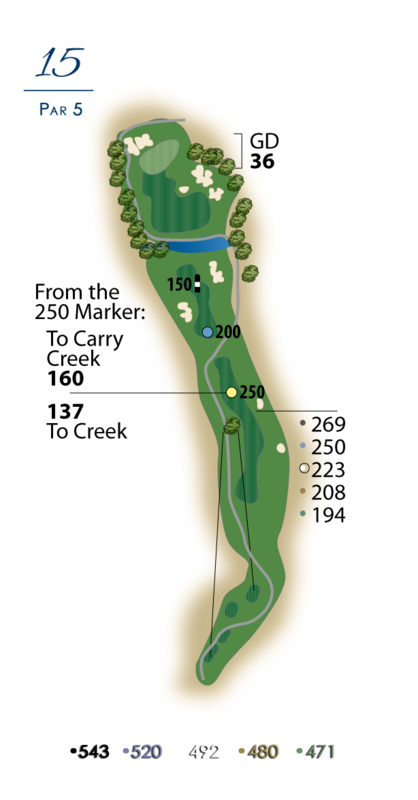 TEE→ Take the club that will keep you in the fairway on this shorter par 4. 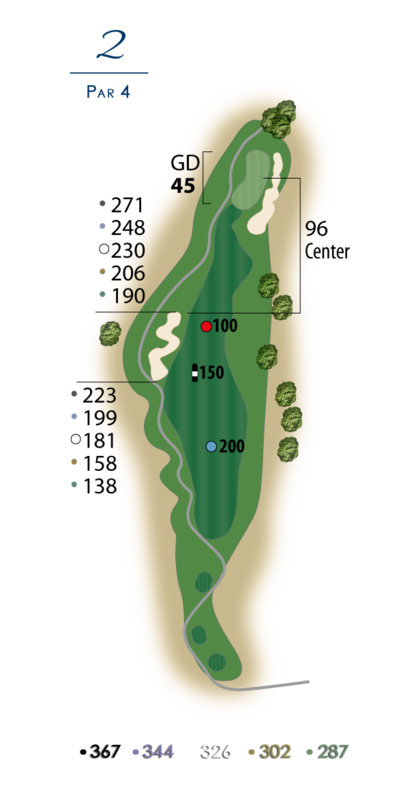 APPROACH→ This green is divided by a ridge across the center. Take an extra club when the pin is past it, less club when in front of it. TEE→ Left is shorter and tighter, right is longer with a better view to the green. Avoid the pot bunkers that divide the fairway. APPROACH→ Uphill and into the coastal breeze might require an extra club. 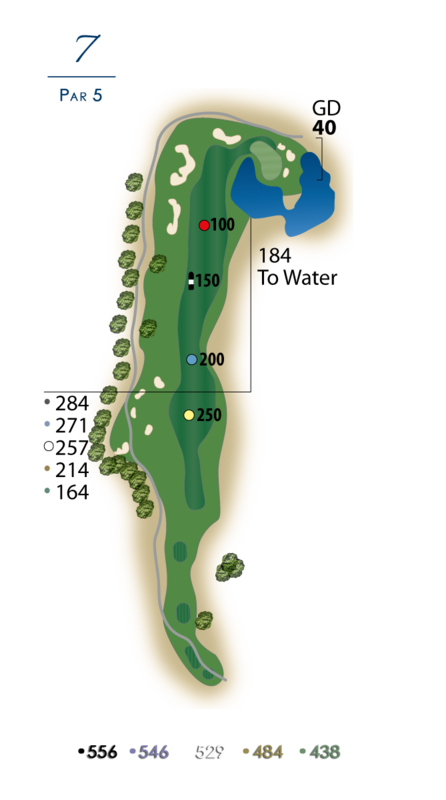 TEE→ The green is split into two sides hiding behind the large mound in the front center of the green. TEE→ The carry is less than it looks over the canyon. Look for the directional flag in the center of the fairway. 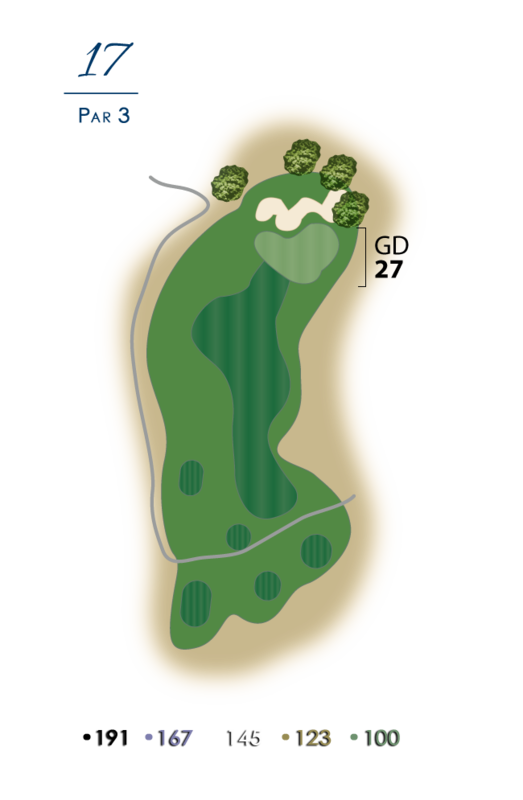 APPROACH→ If you can’t get home in two make sure you stay short of bunker on left. TEE→ If you are longer than average off the tee hit at the right edge of the bunker, if not hit at its center. APPROACH→ Uphill and into the coastal breeze you may need an extra club. TEE→ Lots of room right and an easy lay up makes this beautiful hole only dangerous around the green. 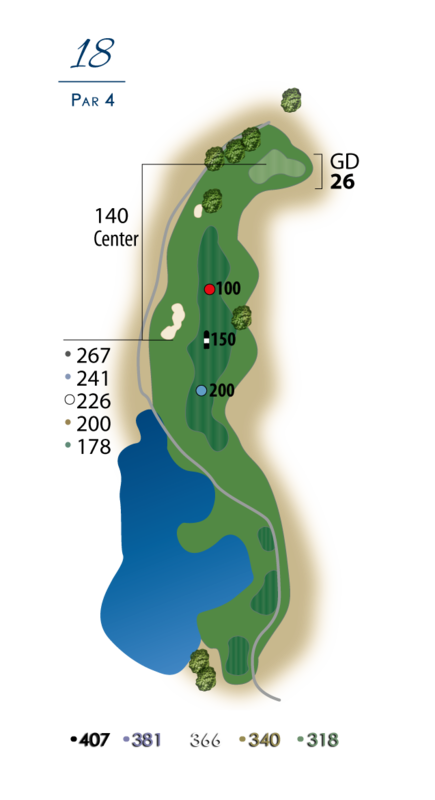 APPROACH→ Choose your club carefully when making your approach shot to the right corner of the lake. 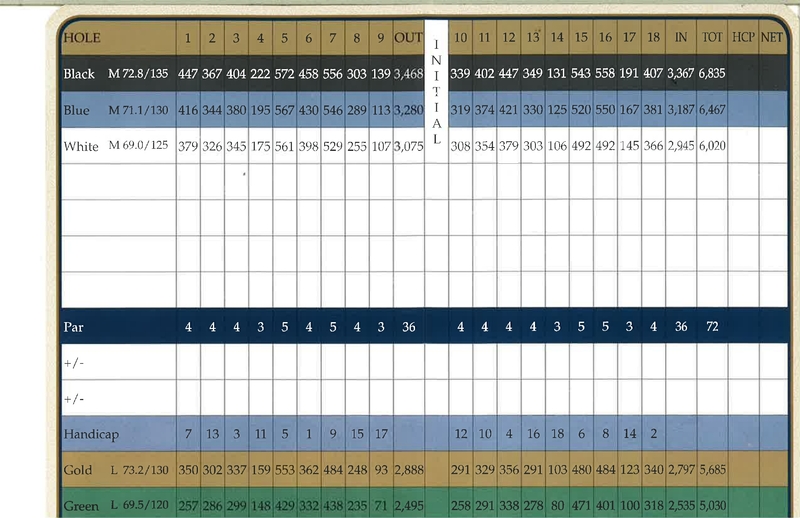 TEE→ Pay close attention to the yardage to the canyon in front of you. 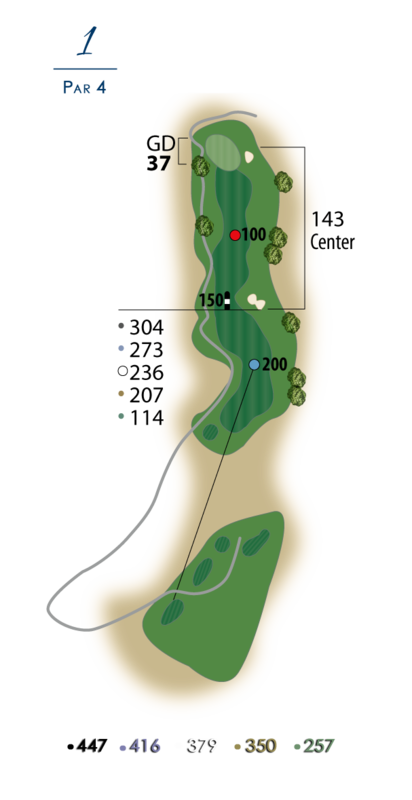 APPROACH→ It tends to play a little longer because of the uphill lie approaching the green. Drop off behind back left of green. 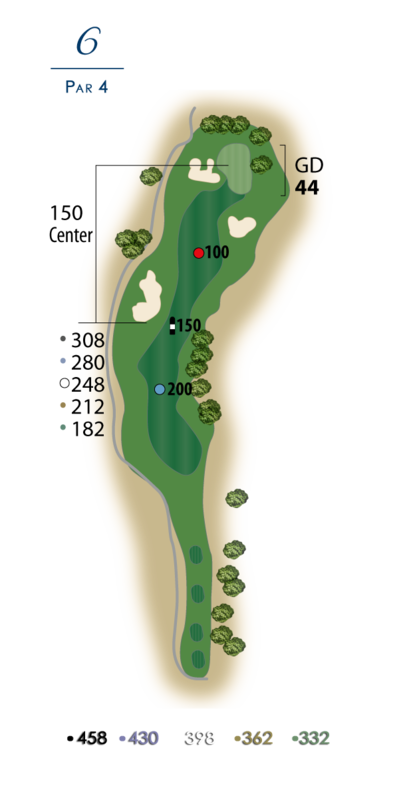 TEE→ Check the wind and the pin location carefully, as the green goes to the back it slopes away slightly and narrows. 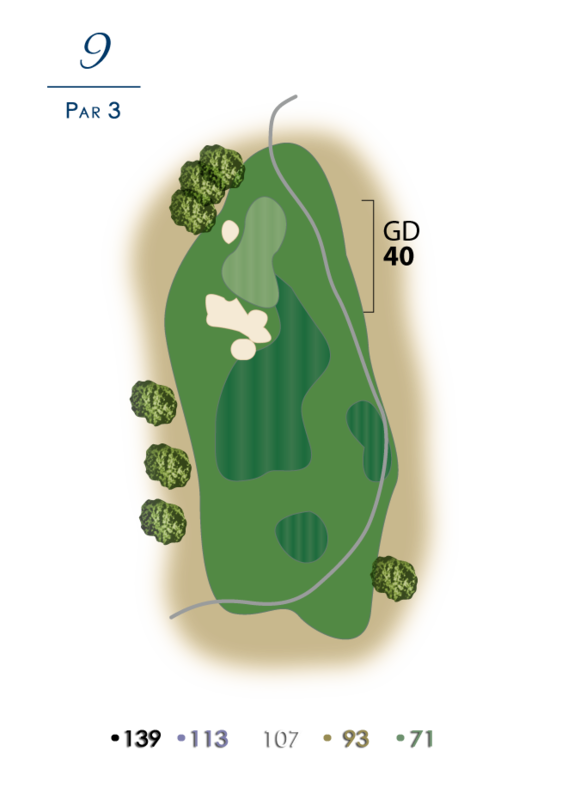 TEE→ Forget about being a big hitter, club selection is paramount on this short Par 4. APPROACH→ Watch how the breeze may affect your high lofted club. TEE→ Be aware of the prevailing breeze trying to push your shot to the right. 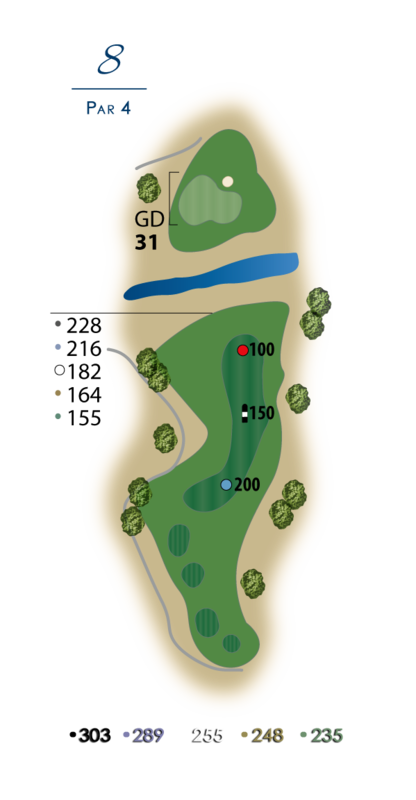 APPROACH→ Check the pin location carefully, a shot to the correct tier may yield a birdie. 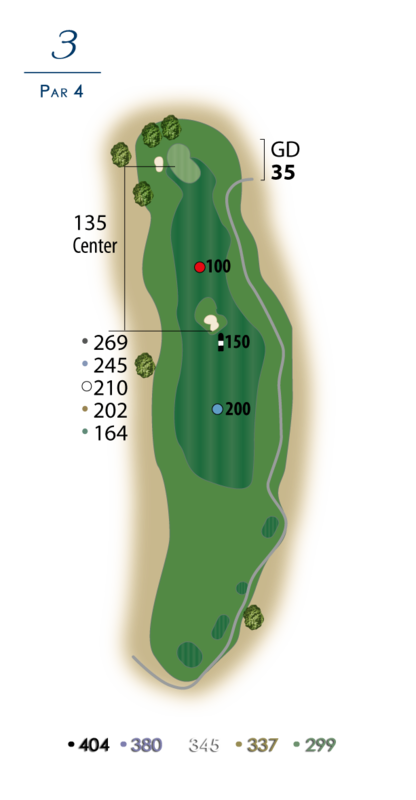 TEE→ Make the most out of your drive to the 12th tee by checking out the fairway while driving. APPROACH→ Note the “hogback” that travels through this green. TEE→ Wetlands border this entire hole on the left. Check your distance, accuracy is more important. APPROACH→ The green drops off into the wetlands on the left as well, so don’t get too aggressive with that approach shot. 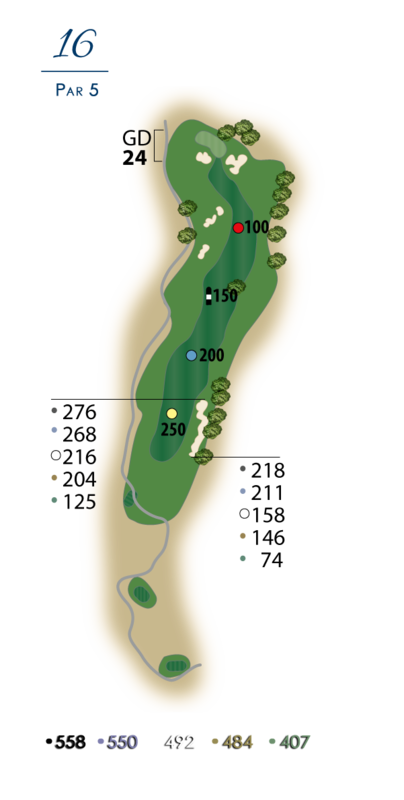 APPROACH→ Check the pin location, the breeze and note the elevation change (tier) in the green. TEE→ The dogleg does move quite a bit to the left. Big hitters may cut the corner with driver. APPROACH→ Most players benefit by laying up short of creek but if you know you can clear it, go for it! TEE→ What you see is what you get. This elevated tee shot gives you a great perspective of what lies ahead. 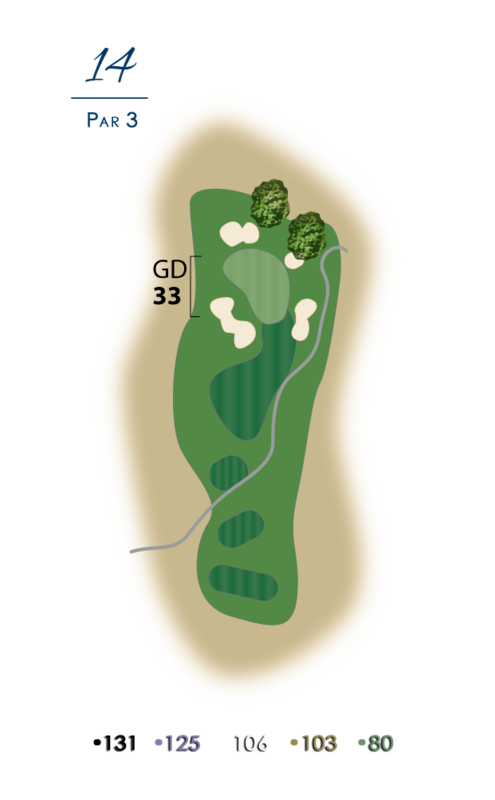 APPROACH→ The green will hide on your second shot; the best play is to hit it up the right side as far as possible to give you the best angle into this Par 5. APPROACH→ The elevation change and coastal breeze usually neutralize each other, but check both carefully before choosing your club. TEE→ There is more room to the right past the brush than appears from the tee. APPROACH→ Although it plays a little down hill on your approach to the green, it rarely plays shorter than the measured yardage.